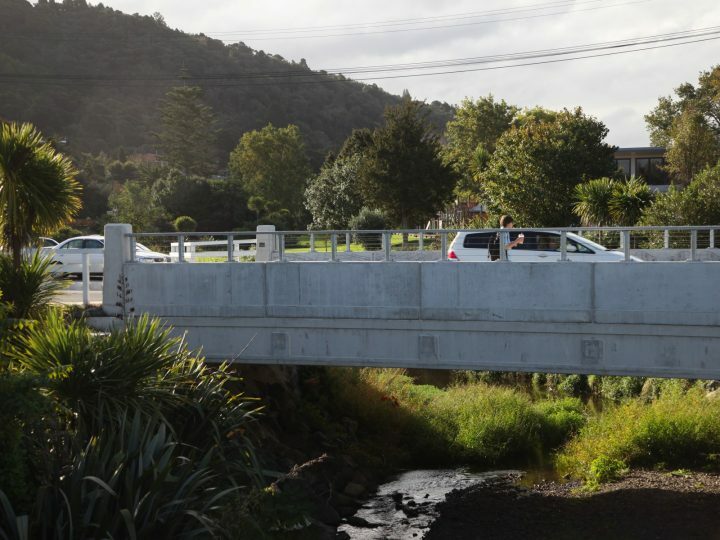 United Civil was contracted to replace a Whāngārei bridge built in the 1930s, because it was prone to blockage that represented a real risk of flooding for the CBD - especially during extreme weather. 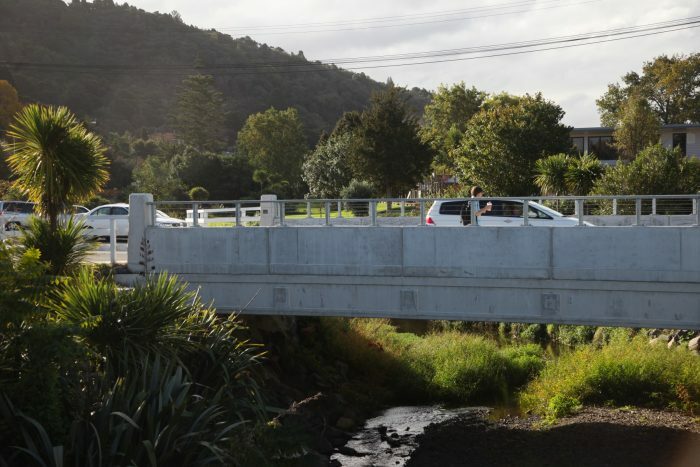 A replacement single span bridge solution was proposed and tenders for construction were called in early 2013. While all received tenders were significantly in excess of the available construction budget, our tender represented the best value proposition. 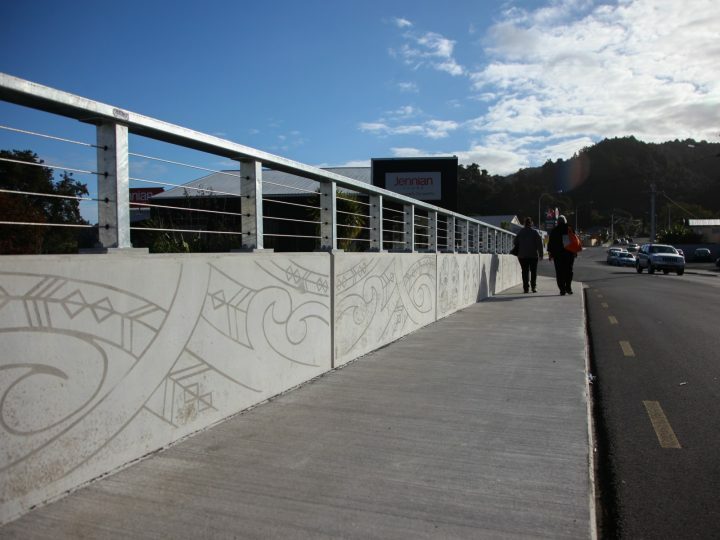 construction of a temporary pedestrian footbridge, extensive services diversions, scour protection and the construction of RC pedestrian barriers. 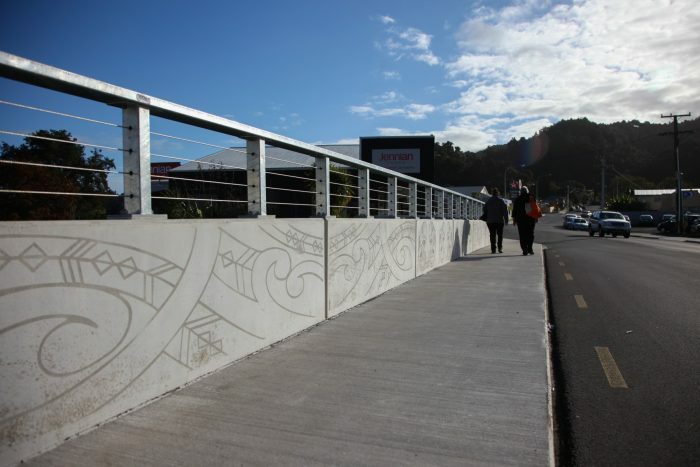 The new Rust Avenue bridge has succeeded in reducing the risk of flooding in the city’s CBD.